The optimistic outlook for a windfall of cannabis jobs is not without contingencies. As a cannabis industry consultant, I've spoken to a variety of industry movers and leaders, and their sentiment is mixed. The Trump administration may not be all that desirable for this powerful green plant. “With Senator Jeff Sessions being appointed United States Attorney General in the new presidential administration, it is highly likely there will be challenges to the state-run cannabis businesses,” contends Philippa Burgess, an NCIA (National Cannabis Industry Association) member who does content marketing for Red Thread Creative Group. Industry influencer Jeffrey Friedland agrees. "Just the thought of Sessions becoming attorney general has rattled many marijuana investors. Entrepreneurs have also placed their plans to enter this market on hold and will likely not commit to this emerging industry until more is known regarding the intent of the new Trump administration." If this is the case, the legal cannabis industry will need to step up its game to support for NCIA to galvanize voters, politicians and business leaders advocate politically for continued operation and expansion. That's tough for any industry, but especially for one that hasn’t had a deep history of collaboration, organization or unionization. The cannabis industry is nascent to all that. But others argue the new president won't be an obstacle to the cannabis industry because, after all, business is business. "In Obama’s second term, he allowed states to figure out how legalization works for them without too many federal crackdowns," explains Carolyn Gerin, co-founder of cannabis design agency, Cannawise.co. "In Trumplandia -- if he’s really pro-business -- he won’t be able to say that cannabiz isn’t lucrative -- $846,492,422 sales from January-August in 2016, Colorado." You can't argue with those numbers for job creation and tax revenues. Chris Driessen, president of Organa Brands, the nation's largest carbon dioxide cannabis extractor, agrees, but for an additional reason: taxes. Trump sold himself as the friend to businesses with the promise of lowering business taxes, and the cannabis industry is subject to a strange one in particular: Section 208E. Section 280E of the Internal Revenue Code forbids businesses from deducting otherwise ordinary business expenses from gross income associated with the “trafficking” of Schedule I or II substances, as defined by the Controlled Substances Act. "We're cautiously awaiting the first signs from the new administration," Driessen revealed. "From a taxation perspective, the industry is treated unfairly as the result of an outdated policy meant for cartels. Trump can change that if he recognizes the revenue and job opportunities the industry promises." Despite these concerns, the industry forges ahead. Thousands of cannabis advocates, enthusiasts and business people recently got together for a first-hand look at what trends, products and innovations are expected to shape the market in 2017. The famed Emerald Cup, showcased them all. From fertilizer to industry hardware, to the plant itself, the Cup gave us a glimpse of what’s to be anticipated next year. The event also gave a foreshadowing of a ripe job market., as well. The Emerald Cup's education sessions many topics and industry experts emphasized a consistent theme: the industry will need more people to fill new roles. A prediction perfect for those thinking of a career change in 2017. Growers: An extensive and detailed knowledge of the marijuana plant and how to grow it is needed to consistently produce the best crops. As more cannabis-related businesses are expected to open in 2017, more marijuana crops will be needed to fill the demand. State agencies in Colorado recognized this for certain when they introduced a panel discussion: “Cannabis: An Emerging Crop Of Colorado” at the 2016 Governor’s Forum on Agriculture. Seed harvesters: So many countries have legalized recreational and medical cannabis the demand surged over 830 percent in 2016. Marijuana seed selling requires federal authorization to be recognized as a legal activity. If you've got attention to detail this is a rocketing space. Courier and delivery personnel: The medical marijuana industry has now made it possible for individual prescriptions to be delivered where laws allow. Either by mail or delivery service, this creates more jobs and gives a sense of legitimacy to the field. "Cannabis businesses looking to grow in 2017 ought to embrace mobile culture by providing their customers an on-demand purchase and delivery model that supplements their brick-and-mortar offerings," suggests Matt Gierut, COO at mobile app development agency Codal. Cannabis consulting: For growing specialists who love the industry and what it's up to, but just don't want their own farms or products, consulting can be very rewarding. The cannabis industry’s leading consulting group, Denver Consulting Group, launched a program to offer low-cost $100 compliance audits for cannabis dispensaries, marijuana grow operations, and processors. Consulting requires a lot of specialized knowledge but could be a great opportunity for those qualified. Retail shop owners: Owning your own marijuana retail store can make you famous in the cannabis industry and opportunities to become this type of 'cannpreneur' are understandably expected to increase come 2017. Edible creators: Creating edible versions of marijuana in the form of beverages, baked goods, candy, and other edibles is quickly gaining popularity in the marijuana industry. Edibles can provide quick relief from serious pains and other symptoms that affect patients who use medical marijuana. The edibles category accounted for roughly 7 percent of the total cannabis market at the beginning of 2016. With over 100 edibles startup companies on the horizon, the supply will try and catch up to the demand in 2017. Concentrates processor: This field of work is critical to the cannabis medical industry. The most common cannabis concentrates are oil, budder and shatter, tinctures and wax, offering powerful effects and value to medical cannabis patients. In most cases, marijuana needs to be in a concentrated form to be made into tablets and medicines, and with the use of vaporizers on a rapid rise, the demand for marijuana concentrates is also expected to increase significantly. Have experience working with chemicals and laboratory equipment? This cannabis job might be great for you. Glass merchants – From selling handheld vaporizers to selling pipes, bongs, or creating your own glass blowing device, glass merchants too have a place in this industry. Budtenders- Those who drink alcohol have bartenders, those who use marijuana have budtenders. Yes, you got it right a budtender plays the role of a bartender in the marijuana industry. Budtending is not a light job, as a good tender must have a solid understanding the laws associated with marijuana, as well as knowledge about different cannabis strains and products. Evo Labs offers these five essentials for any aspiring budtender. Regulation and control administration – With its new and constantly evolving set of regulations, the marijuana industry will need administrators at all levels and steps of the manufacturing, selling, and distribution process.They'll be needed to help ensure that these businesses are in full compliance with the laws and also to help educate the public about the laws relating to marijuana. Reviewers – Yes, you read right, marijuana reviewers are needed as marijuana stigma is lessened and the product emerges like that of craft beer. 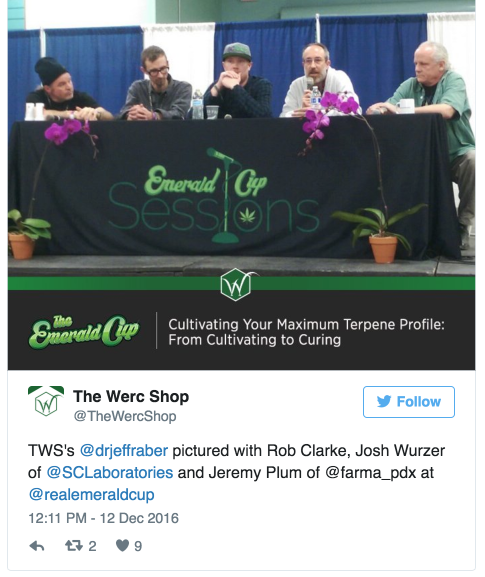 There’s a demand for knowledgeable and insightful strain and component reviews. Sites like Leafly and wikileaf are major platforms for this type of review. Security – Employees are at risk anytime you're dealing with lots of cash, so the need for security high. So much, in fact, that former military vets are helping to fill the roles. With hourly rates starting at around $12 an hour and frequent opportunities for advancement, these jobs are a nice fit for the bold and brave. Trimmers – These are the bud refiners. Removing the heavy leaves and unwanted parts of the marijuana is arduous work, but a good way to get your foot in the door in marijuana processing. Bud trimmers can earn between $12 and $15 an hour cutting leaves according to Monster.com. While there's some debate about whether the role can become entirely automated in the future, true cannabis artisans ensure me it's a job that's in the industry to stay. Marijuana tourism – Bud and dinner pairing? Grow and tasting tours? The tourism industry will grow alongside the marijuana industry. From visiting growing locations to making tours to retail and dispensary locations, tourism companies now have an opportunity to tailor the market how they see fit.